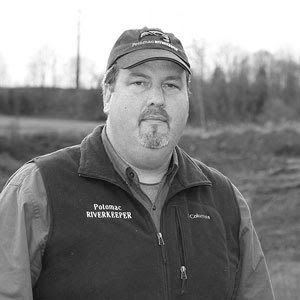 Potomac Riverkeeper Network > Latest Posts > Industrial Pollution > Possum Point Coal Ash Campaign > Important Coal Ash Legislation Pending in Virginia Senate This Week– We Need Your Help! First, thank you for your help this past week — your calls and personal emails really made a difference! Virginia Senators said the response on coal ash was overwhelming because you picked up the phone to demand that Dominion clean up its toxic coal ash! But our work isn’t done! Lawmakers are not saying why they moved four of the coal ash bills, SB 708, 765, 766, and 767, to a new committee but we know why! Dominion pressured lawmakers to refer all the coal ash bills to the Senate Committee on Commerce and Labor whose members are not as friendly to our cause to make Dominion clean up the 28 million tons of toxic coal ash! There are now 6 coal ash bills being held hostage in a committee that does not have the expertise or understanding to review these important bills. We need you to contact Senators urging them to refer the bills back to the Senate Agriculture Committee or pass all six coal ash bills! Please call members of the Commerce and Labor Committee, particularly Senators Black, Cosgrove, Dance, and Sturtevant right away. The C & L Committee may start considering these bills as early as Monday and we’re hoping that we can, with your great help, get them referred back to the Senate Agriculture, Conservation and Natural Resources Committee where they belong! Passage of these bills is absolutely critical to ensure that the pollution and public health threat posed by Dominion’s coal ash ponds are addressed. I can’t express how important it is to TAKE ACTION NOW! Without your help, these bills may die in the Commerce and Labor Committee and we, future generations of Virginians, and our precious rivers will suffer the consequences. I’ve listed the contact information for the members of the Commerce and Labor Committee but we are urging you to pick up the phone and call right now, one or all four members who represent counties impacted by coal ash! Some other material which may be helpful to you is this useful summary, describing all the bills, from the Virginia League of Conservation Voters. It also gives you good points you can use in your phone calls or emails. And this summary is what PRKN has prepared to inform you about why we think coal ash recycling is the best path forward and how we rebut Dominion’s assessment of cap-in-place. See everything we have to say about coal ash, and why cap-in-place doesn’t work, on our website. Here also is a link to a recent story about the existing demand by concrete manufacturers for Virginia’s coal ash and, for members who need some facts and figures, a fact sheet by Duke Energy, of all companies, about how recycling lowers costs for consumers compared to disposal in a new location. I know I can count on you – and your fellow Virginians are, too! Please call today and CLICK HERE to send an e-mail today! We have also provided emails and phone numbers of committee members if you want to make a personal call or send a direct email. Senate Commerce and Labor The entire membership is also below, but the four most critical are Senators Black, Cosgrove, Dance, and Sturtevant. Thank you in advance for your help pushing through these important bills!